Hi, I could use some help with getting my project to work. What I want to do is control 2 DC motors with an L298n driver and a Raspberry Pi 3 from my phone via Blynk. I also want to control the motors with the joystick widget in the Blynk app. I got my Pi connected to my phone over wifi with Blynk, but I am having trouble getting the Python for the joystick to control the motors with the driver. If you could point me in the right direction it would be much appreciated. I have a project that I started with the MagPi USB flash drive article here with a few things modified. (https://www.raspberrypi.org/magpi/pi-zero-w-smart-usb-flash-drive/) File share works great. The USB is read only but for my needs that's perfectly fine. What I would like to do is trigger an event every time the storage is accessed via g_mass_storage. In my case trigger a camera to take a picture every time a part of a file is read by the host device. 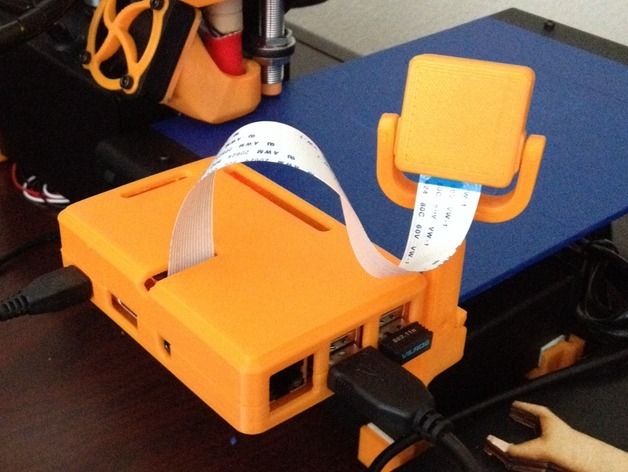 This would be used to create a time lapse of an SLA printer similar to the way OctoPi works. The printer only seems to read one layer at a time so using that as a trigger would be ideal. The MagPi had a watchdog event for every time a new file was added by Samba, but in my case I need to trigger based off a read of the modprobe g_mass_storage device. Can I use something like this to power the Pi? I have a few pi's running as webservers on a local network. I have an outdoor air temp/humidity sensor that I would like to use on one pi and share the data with the others. Any ideas? Which cephalopod do I need: Octcpi or Print? I just today received my RPi3B+ and am somewhat patiently waiting for Raspbian to install. I only have one printer that I want to monitor.